Numbers and counting in Japanese are difficult enough to require its own section. First of all, the number system is in units of four instead of three, which can make converting into English quite difficult. Also, there are things called counters, which are required to count different types of objects, animals, or people. We will learn the most generic and widely used counters to get you started so that you can learn more on your own. To be honest, counters might be the only thing that’ll make you want to quit learning Japanese, it’s that bad. I recommend you digest only a little bit of this section at a time because it’s an awful lot of things to memorize. You can simply count from 1 to 99 with just these ten numbers. Japanese is easier than English in this respect because you do not have to memorize separate words such as “twenty” or “fifty”. In Japanese, it’s simply just “two ten” and “five ten”. Notice how the numbers jumped four digits from 10^4 to 10^8 between 万 and 億? That’s because Japanese is divided into units of four. Once you get past 1万 (10,000), you start all over until you reach 9,999万, then it rotates to 1億 (100,000,000). By the way, 百 is 100 and 千 is 1,000, but anything past that, and you need to attach a 1 so the rest of the units become 一万 (10^4)、一億 (10^8)、一兆 (10^12). Now you can count up to 9,999,999,999,999,999 just by chaining the numbers same as before. This is where the problems start, however. 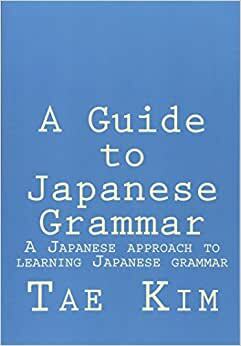 Try saying 「いちちょう」 、「ろくひゃく」、or 「さんせん」 really quickly, you’ll notice it’s difficult because of the repetition of similar consonant sounds. Therefore, Japanese people have decided to make it easier on themselves by pronouncing them as 「いっちょう」、 「ろっぴゃく」、and 「さんぜん」. Unfortunately, it makes it all the harder for you to remember how to pronounce everything. Here are all the slight sound changes. The year is very easy. All you have to do is say the number and add 「年」 which is pronounced here as 「ねん」. For example, Year 2003 becomes 2003年 (にせんさんねん）. The catch is that there is another calendar which starts over every time a new emperor ascends the throne. The year is preceded by the era, for example the year 2000 is: 平成12年. My birthday, 1981 is 昭和56年 (The Showa era lasted from 1926 to 1989). You may think that you don’t need to know this but if you’re going to be filling out forms in Japan, they often ask you for your birthday or the current date in the Japanese calendar （和暦）. So here’s a neat converter you can use to convert to the Japanese calendar. Finally, we get to the days of the month, which is where the headache starts. The first day of the month is 「ついたち」 （一日）; different from 「いちにち」　（一日）, which means “one day”. Besides this and some other exceptions we’ll soon cover, you can simply say the number and add 「日」 which is pronounced here as 「にち」. For example, the 26th becomes 26日 （にじゅうろくにち）. Pretty simple, however, the first 10 days, the 14th, 19th, 20th, 29th have special readings that you must separately memorize. If you like memorizing things, you’ll have a ball here. Notice that the kanji doesn’t change but the reading does. Now, we’ll learn how to tell time. The hour is given by saying the number and adding 「時」 which is pronounced here as 「じ」. Here is a chart of exceptions to look out for. To count the number of months, you simple take a regular number and add 「か」 and 「月」 which is pronounced here as 「げつ」 and not 「がつ」. The 「か」 used in this counter is usually written as a small katakana 「ヶ」 which is confusing because it’s still pronounced as 「か」 and not 「け」. The small 「ヶ」 is actually totally different from the katakana 「ケ」 and is really an abbreviation for the kanji 「箇」, the original kanji for the counter. This small 「ヶ」 is also used in some place names such as 「千駄ヶ谷」 and other counters, such as the counter for location described in the “Other Counters” section below. We’ll cover some of the most common counters so that you’ll be familiar with how counters work. This will hopefully allow you to learn other counters on your own because there are too many to even consider covering them all. The important thing to remember is that using the wrong counter is grammatically incorrect. If you are counting people, you must use the people counter, etc. Sometimes, it is acceptable to use a more generic counter when a less commonly used counter applies. Here are some counters. The changed sounds have been highlighted. You don’t count 0 because there is nothing to count. You can simply use 「ない」 or 「いない」. The chart has hiragana for pronunciation but, as before, it is usually written with either numbers or kanji plus the counter with the single exception of 「とお」 which is simply written as 「十」. For higher numbers, it’s the same as before, you use the normal pronunciation for the higher digits and rotate around the same readings for 1 to 10 except for 「一人」 and 「二人」 which transforms to the normal 「いち」 and 「に」 once you get past the first two. So 「一人」 is 「ひとり」 while 「11人」 is 「じゅういちにん」. Also, the generic counter 「～つ」 only applies up to exactly ten items. Past that, you can just use regular plain numbers. Note: The counter for age is often sometimes written as 「才」 for those who don’t have the time to write out the more complex kanji. Plus, age 20 is usually read as 「はたち」 and not 「にじゅっさい」. You can attach 「目」 (read as 「め」) to various counters to indicate the order. The most common example is the 「番」 counter. For example, 「一番」　which means “number one” becomes “the first” when you add 「目」 （一番目）. Similarly, 「一回目」 is the first time, 「二回目」 is the second time, 「四人目」 is the fourth person, and so on.